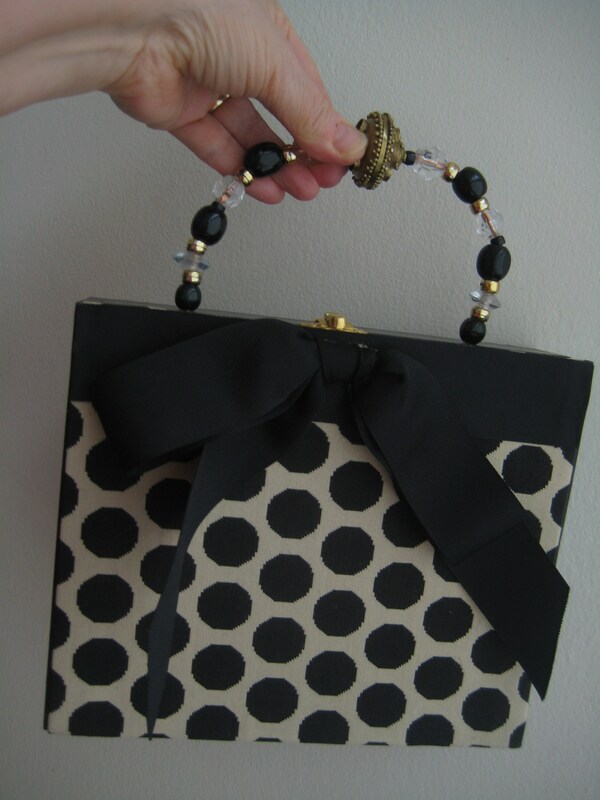 Very cute conversion of a cigar box into a hand made chic little box purse. 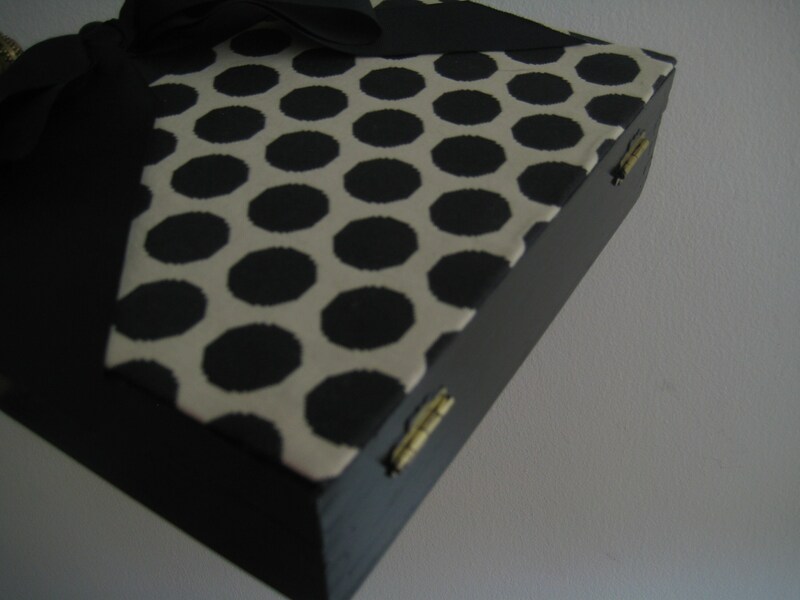 Painted black body with a black and beige polka dot fabric cover set off with a black bow. Clear and black beaded handle with a 3 inch drop. 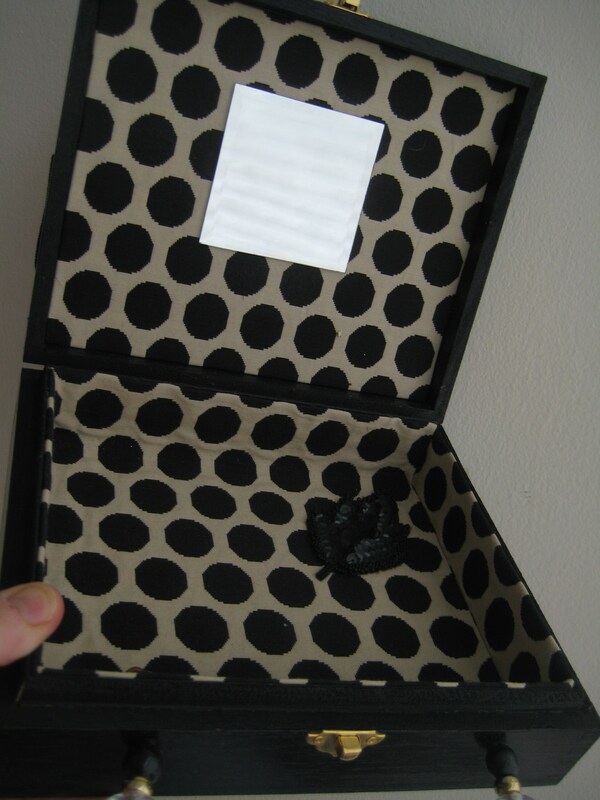 Inside of the box is lined with the same polka dot fabric, beaded applique flower, and square mirror. Gold tone metal flip over closure. 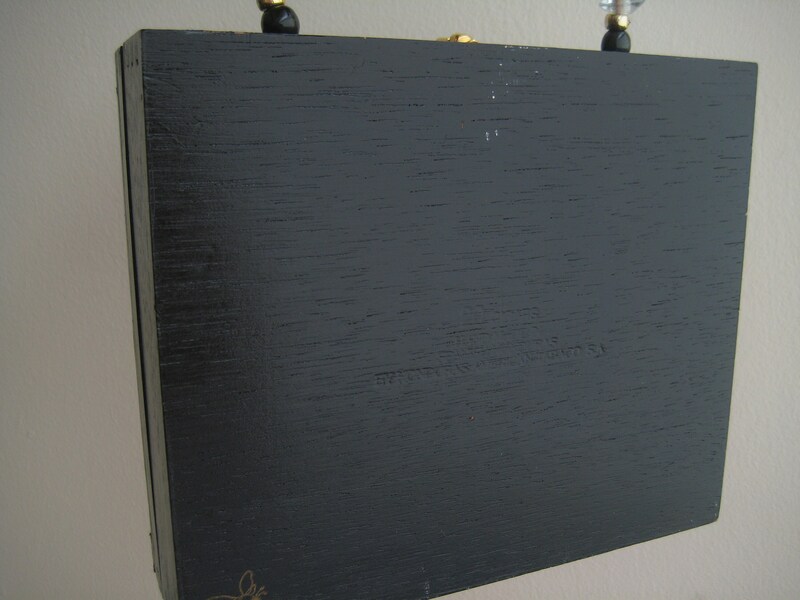 The box originally held cigars from Honduras. Yes - there is a faint sweet smell of cigars. 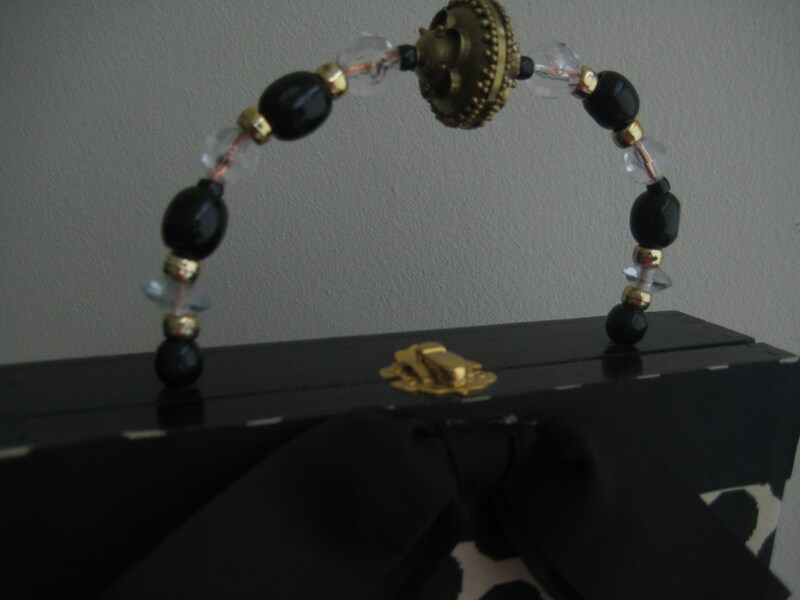 Dimensions: 8.5 inches long x 7 inches tall x 2 inches wide.